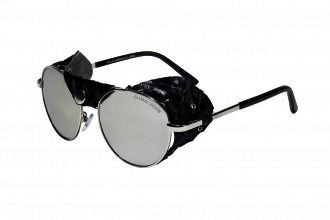 Finally folks the long awaited Mountaineering and Classic Motorcycle Sunglasses have returned to the halls of Maximumeyewear !!! 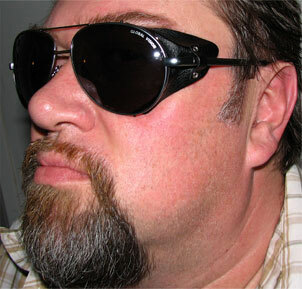 Manufactured to high quality standars by Global Vision Eyewear these wonderful Aviator Sunglasses seal out the elements like Rain, Sleet, Snow, Wind, Glare and All manner of Flying Bugs and debris by custom leather side sleeves called Eye and Bow Gaurds that keep all that stuff out, all in a bold and classic look from days gone by... So celebrated the good old days with us and try on a pair of Explorer's, all wrapped up tight in a spledid package that mates todays technology with the timeless look of yesteryear !!! 1. Temple to Temple Width 6"